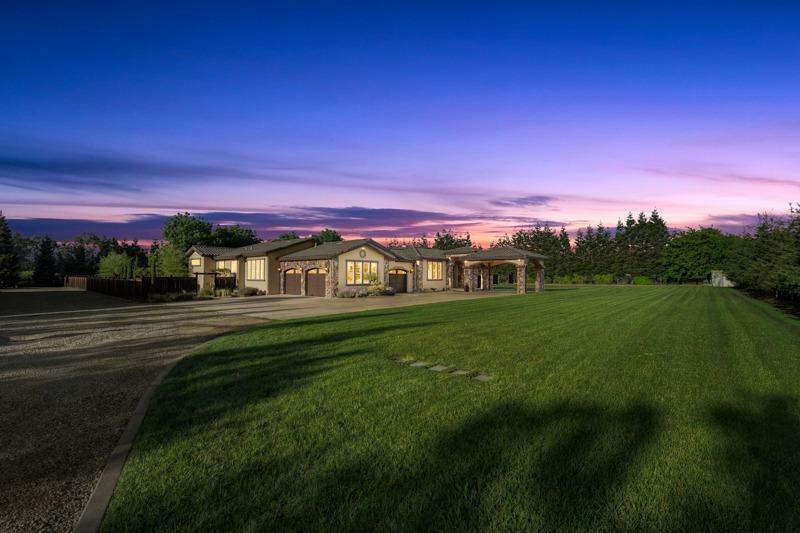 Stunning Single Story Country estate w/two gated entrances & 6, 520 foot workshop building with full kitchen, bedroom, office, bath and large building pad in rear. Attention to detail throughout this 2.4 acre compound. Two laundry rooms, two inner home courtyards, bedrooms with en-suite baths, four fireplaces, large stunning kitchen over looking the immense yard and open family room with wet bar. Minutes from HWY 65 and central location to reach all areas or greater sac. Plenty of room for toys !